less-developed western markets. Then a spatial-temporal model is built to depict the diﬀusion pattern of house prices between markets. In general, a shock given to the house price of a certain market gradually spreads to its neighbouring cities. However, the interurban housing market can hardly remain an equilibrium relationship in the long-run, that is, it tends to be divergent. China has been undergoing significant social and economic structural changes since launching its policy of economic reform and opening up in 1978. This has involved a transformation from a centrally planned economy, where there is no role for the market, to a market-oriented economy in which market principles play a major role. During the last four decades, great achievements have been made in terms of economic growth and social well-being. To name a few indicators: the Gross Domestic Product (GDP) of the country increased from USD 189.65 billion in 1980 to USD 10.866 trillion in 2015, positioning China as the second largest economy in the world, with an average annual growth rate over 10%. Meanwhile, poverty levels have greatly improved. The poverty headcount ratio at USD 1.90 a day (2011 PPP) has decreased dramatically, from 42.15% in 1981 to 10.68% in 2013. The rapid economic growth, combined with the reform of the Hukou registration system, has also accelerated the migration flow from rural areas to urban areas. The population living in urban China in 2015 reached 763 million, making the urbanisation level of 55.61%, almost three times that in 1980. With the rapid growth of the urban population, the welfare-based public housing provision system founded in the central planning era could no longer meet the increasing housing demand of urban residents. Thus, in 1994, comprehensive housing reforms were implemented, aiming to privatize the public housing sector and promote a housing allocation system based on market principles. The milestone of housing reform occurred in 1998, when the government completely suspended the traditional housing allocation system, making the housing market the only way to access housing services (Wang et al. 2012). The emergence of the private urban housing market spurred both housing transactions and prices. In 1998, the housing area traded on the market was approximately 108 million square metres on an average transaction price of 1854 yuan/m2. These two figures were nearly ten and three times higher in 2014, soaring to 1.05 billion square metres and 5933 yuan/m2, respectively. At the regional level, rapid economic development has been accompanied by increasing inequality. Soon after the launch of the economic reforms, some coastal regions, Guangdong and Zhejiang in Eastern China, for example, grew quickly, due to the influx of foreign direct investment (FDI), advanced technologies and equipment, and favourable policies of the central government. The ‘core’ position of these regions in the national economy was further enhanced through a self-reinforcing process (Anderson 2012, p.127), shaping a core-periphery economic structure in China. In 1980, the regional gross product of Eastern China accounted for 43.69% of total GDP in China, while in 2014 this ratio increased to 51.16%, reflecting the polarization of economic activities. Reflecting the distribution of economic activities, the inequality in the cost of housing between regions is also striking. In 2014, the average sale price in 35 main cities in mainland China was approximately 8599 yuan/m2, with the standard error also high, at 4651 yuan/m2, making the coefficient of variance 0.54, thus indicating a high degree of heterogeneity across this city-level housing market. 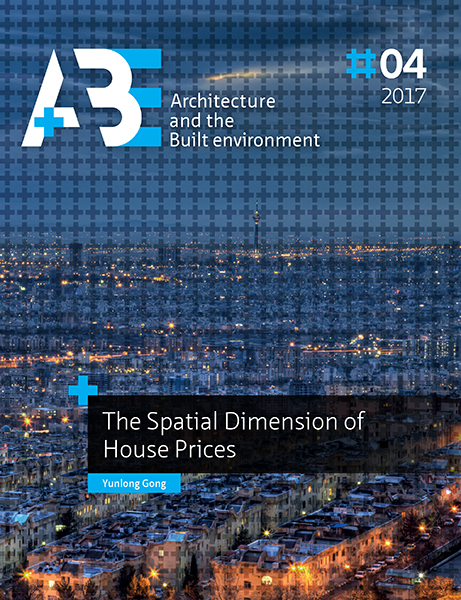 The left panel of Figure 1.1 shows the spatial distribution of average house prices. It is apparent that the prices in the coastal cities of Eastern China are generally greater than the prices of inland cities. However, the picture of house price dynamics is a little different. From 2002 to 2014, the rapid growth in house prices, on average 11.38% per year, seems to be anational phenomenon and there is very little variance between the annual growth rates in different cities; the coefficient of variance is only 0.18, much lower than that of the house price level. Perhaps the most prominent spatial pattern of house price growth rate is that the northeastern cities experienced the lowest price appreciation during the period 2002-2014. This dissertation is fundamentally concerned with the spatial patterns of house prices and their dynamics across cities in China. Although literature on the Chinese housing market has been emerging in recent years, little is known about the spatial interaction of regional housing markets. The following four chapters will be dedicated to responding to questions concerning the emerging market: Why is there a core-periphery structure in the distribution of interurban house prices? To what extent are the house price developments across cities similar? How do house price dynamics in one city affect the house price changes in other cities? This paper applies a general spatial equilibrium model to investigate the effect that distance within urban hierarchy can have on interurban house prices. Our spatial model predicts a negative price gradient towards higher-tier cities, which can be decomposed into a ’productivity component’ and an ’amenity component’, representing respectively the effect of wage differences and households’ valuation of access to higher-order services. The theoretical findings are tested on data for the hierarchical urban system of the Pan-Yangtze River Delta in China. Both central and subcentral cities are shown to impose statistically significant distance penalties on interurban house prices, even after we control for amenities and characteristics that are generally considered to be the determinants of house prices. According to the empirical decomposition, the negative house price gradients are largely accounted for by the productivity component. Location is capitalized into the price of the land the structure of a property is built on, and land prices can be expected to vary significantly across space. We account for spatial variation of land prices in hedonic house price models using geospatial data and a semi-parametric method known as mixed geographically weighted regression. To measure the impact on aggregate price change, quality-adjusted (hedonic imputation) house price indexes are constructed for a small city in the Netherlands and compared to price indexes based on more restrictive models, using postcode dummy variables or no location information at all. We find that, although taking spatial variation of land prices into account improves the model performance, the Fisher house price indexes based on the different hedonic models are almost identical. The land and structures price indexes, on the other hand, are sensitive to the treatment of location.